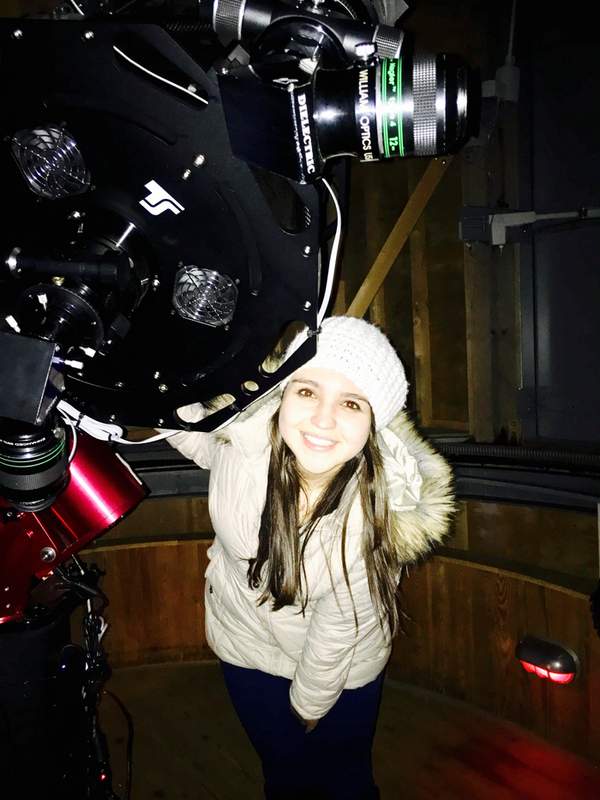 As part of Chevening's Best of British series, scholars spent the learning about and looking at the stars at Kielder Observatory, situated in remote Northumberland. 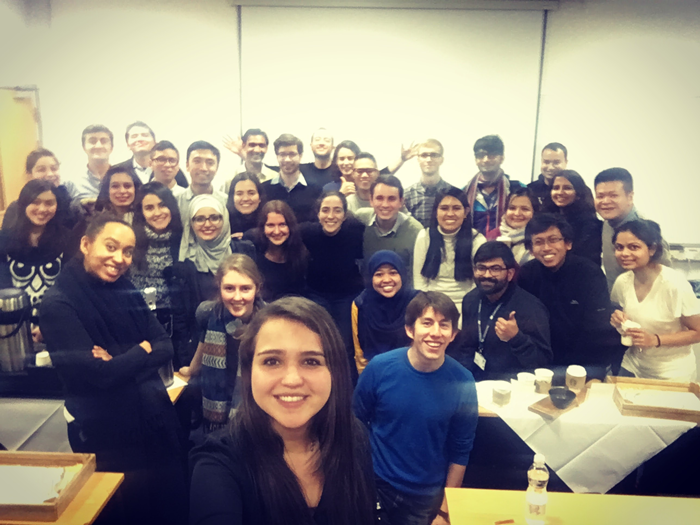 Chevening social media ambassador Camila Pantoja, who's studying an MSc in Clinical Neuroscience at University College London, was there to cover the event for us. You can follow Camila on Twitter and Instagram or follow updates from all the social media ambassadors with the hashtag #CheveningSMA. 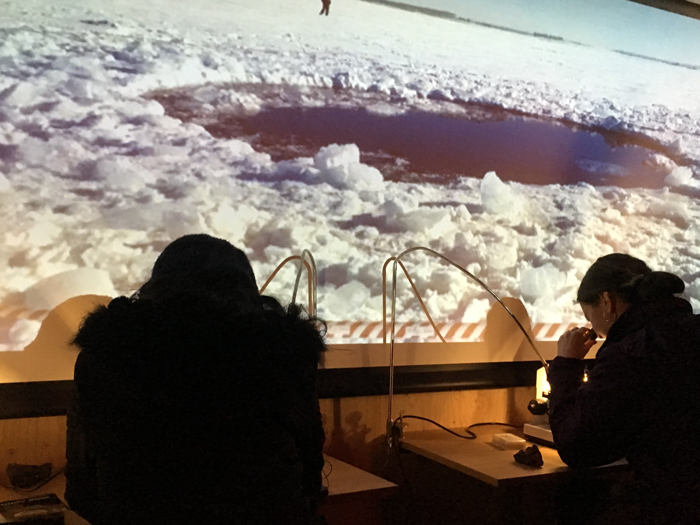 Scholars gathered in Newcastle on 2 February to visit Kielder Observatory in Kielder Forest, Northumberland. Our first point of meeting was at Northumbria University where we had light refreshments and then a very interesting talk from Dr Richard Morton, who assesses the solar weather and the phenomena that result in the Northern Lights. All the scholars began asking questions about this amazing phenomena that we were so excited to be able to see. After the talk, we took a bus to Kielder Observatory. The environment in all the Chevening gatherings is unbelievable as you are surrounded by people you don’t know, but you feel very connected and close. I feel each one of the scholars shares with me curiosity and the potential for change, and this always creates a family environment. The bus took us through a very dark road into the darkest place I have ever been. Kielder Forest is a place that is ‘light protected’, which means that nobody can turn artificial light on in there. This is created for the observatory to be able to appreciate the night sky. Kielder Observatory is located in the third largest protected Dark Sky Reserve in the world. Being able to be there, in the dark, was already inspiring. We began the session with a talk from Dr Luke Tyas from Durham University. He was speaking to us about the prospect of intelligent life in the universe. In his words, he said he had ‘never been in a group this demanding’ as all of us had a different question to ask him or something to share with the entire group. The topic of the session was already very interesting, but the questions from my fellow scholars made the session even better. Unfortunately, the sky was cloudy. For occasions like this, they use software that will alert everyone inside the building if the sky clears up, accompanied by the sound of trumpets. We were taken to see the telescopes (which were huge and amazing!) and they explained how to find a star in the night sky and described the change in the constellations during the seasons. I come from a country which is located in the tropics, which means that the night sky sees little variation. I was amazed by the fact that in the United Kingdom, as it is located in the north, we can see every constellation during the year and the sky will always be a surprise. By the end of the night, hot chocolate was offered to us (as the observatory is located in the middle of the forest and is seriously cold). Then finally we heard the sound of the trumpets meaning that the sky was clear! However, they were false hopes as it was a mistake by one of the scholars, which made all of us laugh. 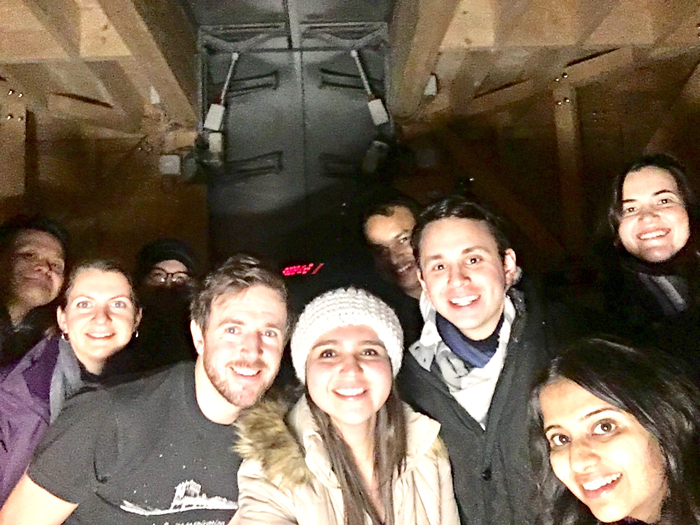 But I realised that even though we couldn’t see the dark sky, the universe and the stars, we spent an amazing night in the company of our UK family. We laughed, we learned, and we got to know one of England’s remarkable places.